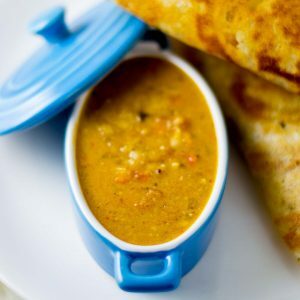 Recipe for Vanakkiya thakkali kurma. Kurma made with fried tomatoes. Recipe with step by step pictures. 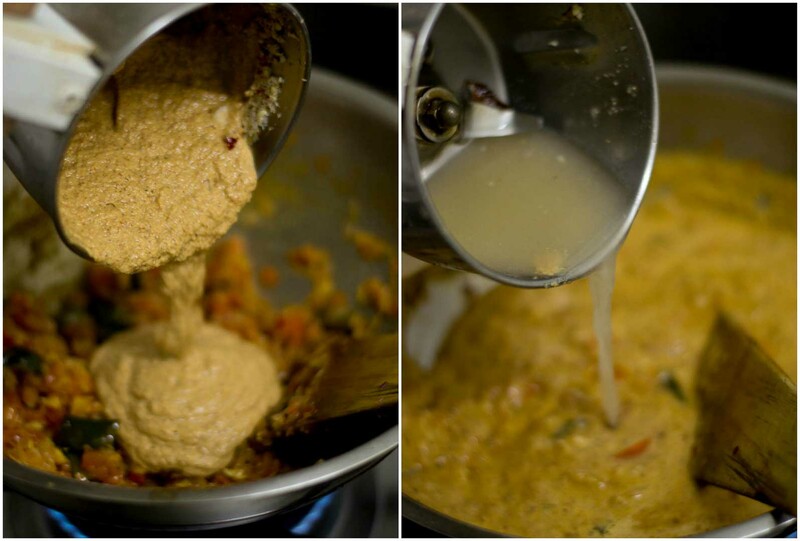 This recipe is a slight variation of the Tomato Kadaindha Kurma that I shared some time back. 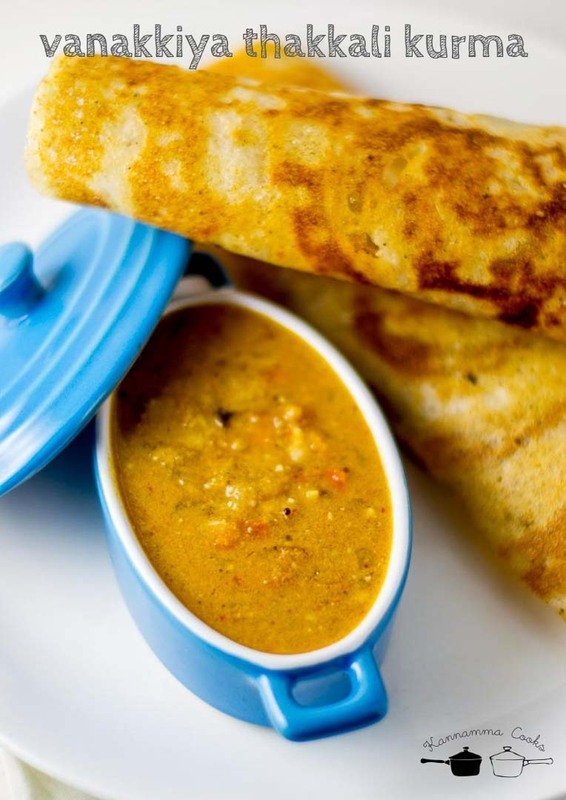 Its perfect as a side dish for everyday breakfast of idli and dosa. We will have to make a raw masala paste for this kurma. Here is what you will need. 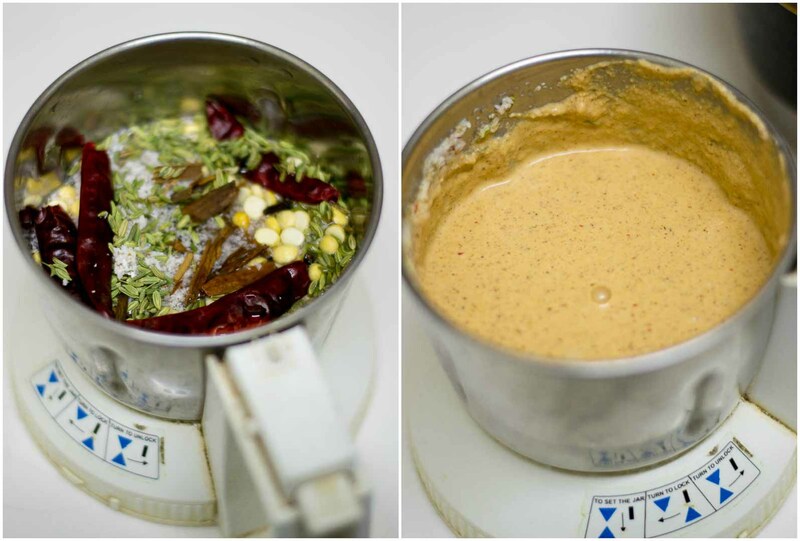 Take a mixie and add in all the masala ingredients to it. Add in half a cup of water and grind to a smooth paste. Set aside. 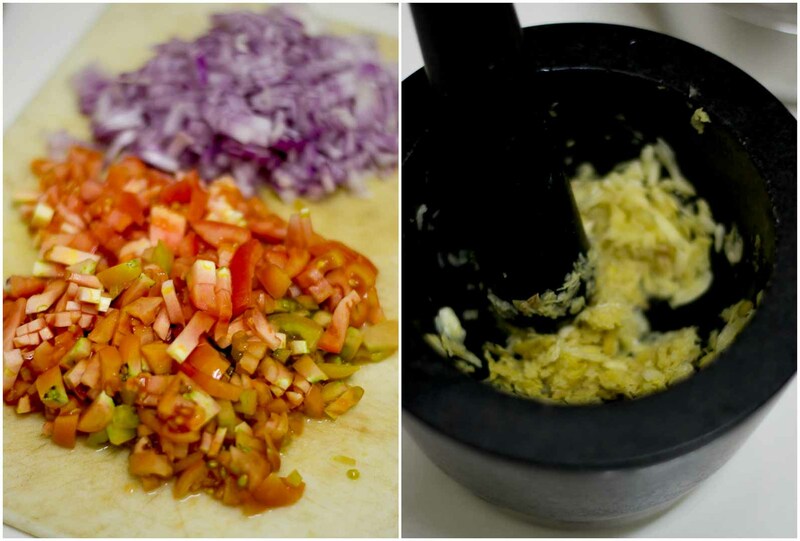 Chop the onions, tomatoes and set aside. 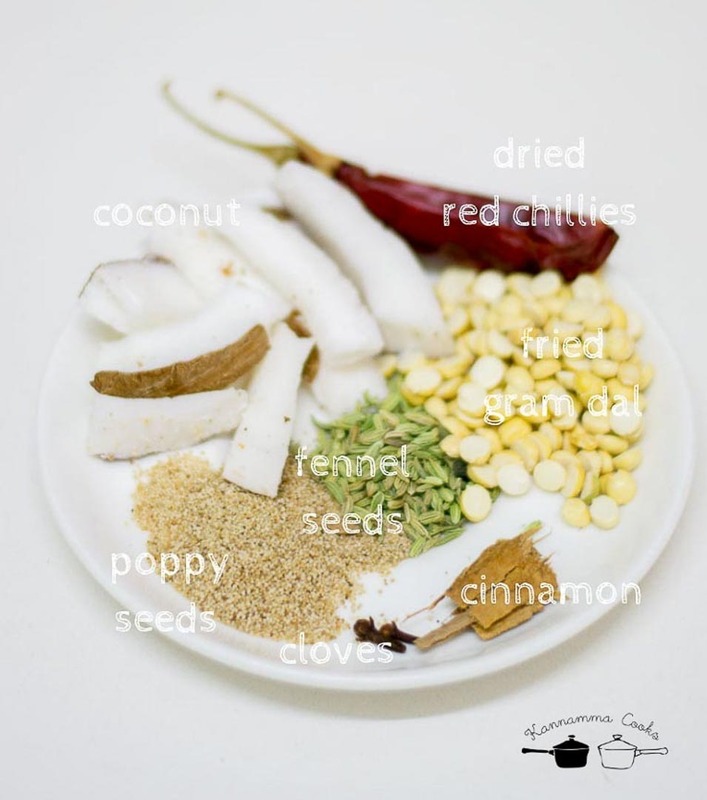 Crush the ginger and garlic in a mortar and pestle. Set aside. Heat Indian sesame oil / gingely oil in a pan. (Be generous with the oil as we will need to saute the tomatoes and onion till golden.) 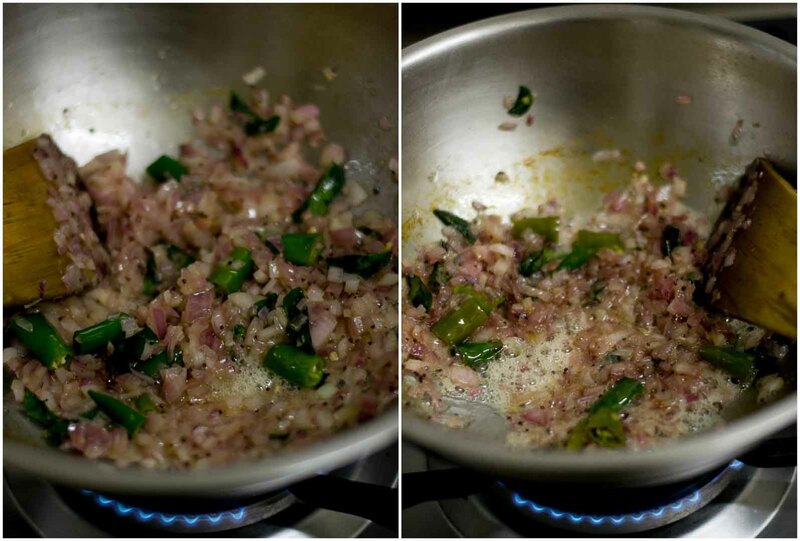 Add in the mustard seeds, curry leaves and chopped green chillies. 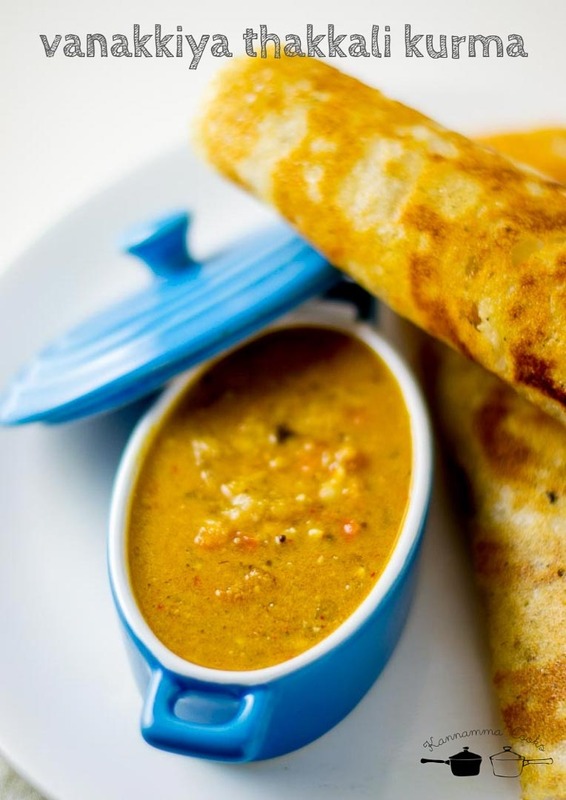 If you want a spicy kurma, add more green chillies according to your taste. Let the mustard seeds crackle. Add in the chopped onions. Add in the salt and saute till the onions are soft and starting to brown. About five minutes on medium flame. Add in the crushed ginger and garlic along with the tomatoes. 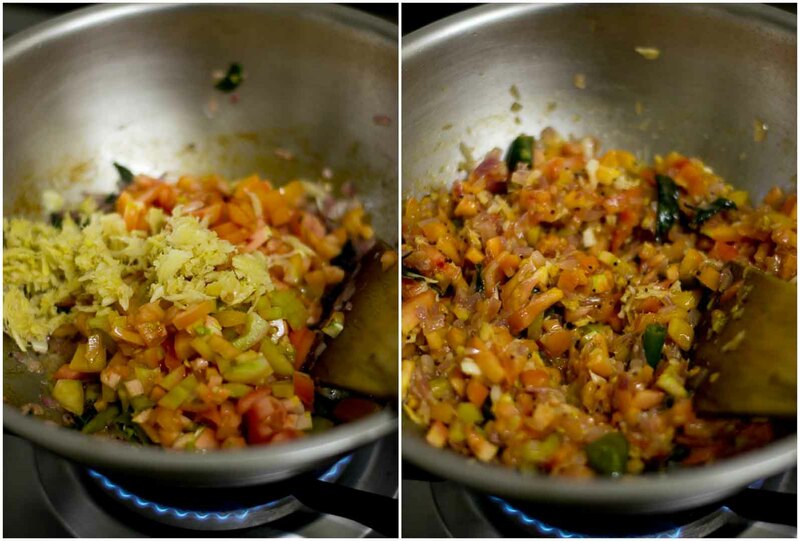 I prefer using “naatu thakkali” – country tomatoes for this recipe. Saute for a good 7-8 minutes till the tomatoes are cooked and juiced down. Add in the ground masala paste. 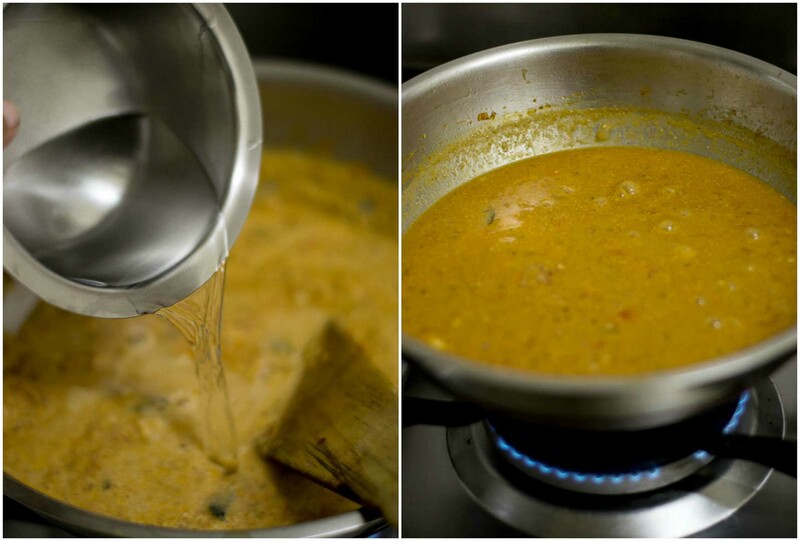 Wash the mixie with half a cup of water and add the masalas back to the pan. Add in a cup of water. Close the pan with a lid and let the gravy simmer for 15 minutes on a low flame. Mix once every five minutes to avoid scorching the pan at the bottom. The tomato kurma is ready. Heat Indian sesame oil / gingely oil in a pan. 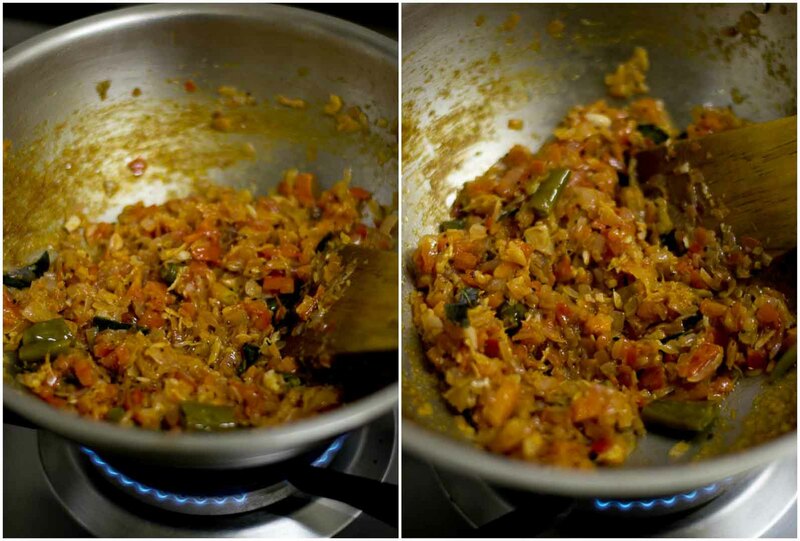 Add in the mustard seeds, curry leaves and chopped green chillies. 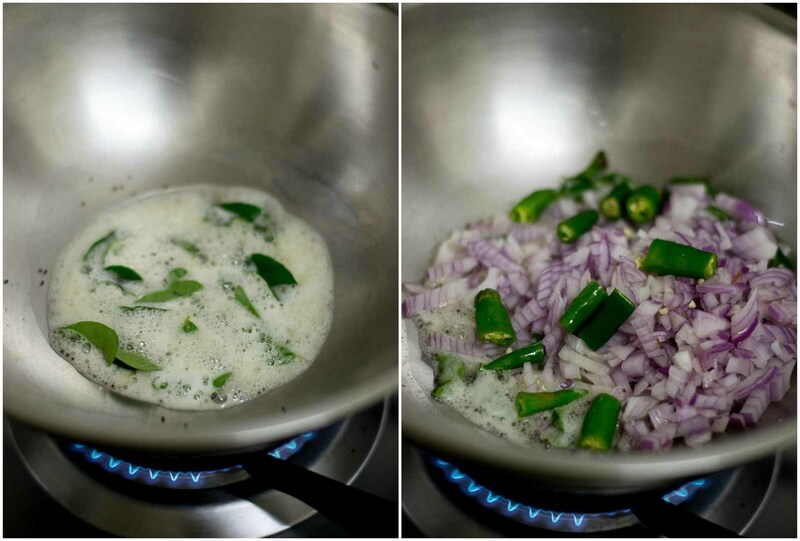 If you want a spicy kurma, add more green chillies according to your taste. Let the mustard seeds crackle. Add in the chopped onions. Add in the crushed ginger and garlic along with the tomatoes.